Badoo’s dating empire has continued to grow impressively in recent months, both in terms of its own dating app, which surpassed 400 million users in September, and in terms of the platforms under its wider control, such as Chappy and Bumble. Dominic Gallello, recently appointed as the firm’s new CMO, told GDI last month that he was excited to help make a meaningful impact on people’s lives. The marketer wants to continue to define the dating company’s purposeful narrative in 2019. 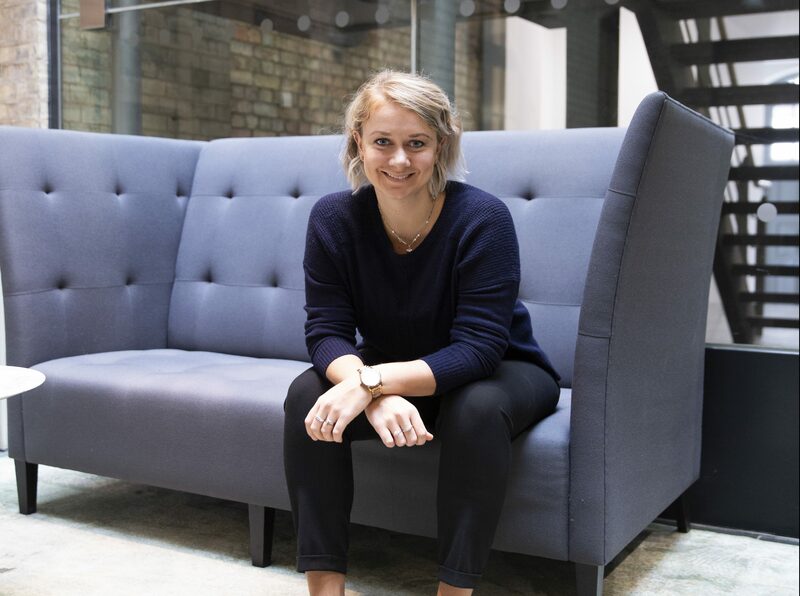 This week, GDI caught up with HR Director Ann Roberts at the Nimbus Ninety Chief Disruptor Live conference in London, and discussed how Badoo makes successful hires and fine-tunes its in-house culture. Chief Disruptor Live brings together members of the technology and business community to talk adaptation in an ever-changing landscape. Headline speakers in 2019 include Twitter, Spotify and The Guardian. What does the geography of Badoo look like at the moment? What is the size of your teams are where are they based? AR: “So, in terms of employee base we have just under 600 people today, headquartered in London with 400 out of the 600 being in Soho. We then have another 100 people in Austin, Texas and about 100 people on the development team in Moscow. What are the key competencies that you look for when you make a senior hire at Badoo, such as your new CMO? AR: “Yes, [Dominic Gallello] is awesome! The kind of baseline is professional experience, obviously, so that they’re well-proven. We look for quite a narrow and special breed of people because we need somebody who can create process and bring in scalable solutions to Badoo given how fast we’re growing. Also, though, somebody who has done small and nimble, who is agile, who can operate in not the most structured environment. What kind of in-house culture do you look to try and foster? AR: “I joined Badoo just over a year ago now, and lots of the work that I’ve been doing about the culture agenda is to make it more inclusive. There’s a tendency for companies to amplify the culture that they created in the early days through what the founders are like as people, through what the founding team is like, through what the company has gone through and achieved. In Badoo’s case it tends to be very hands-on, hustle, grass-roots movement. Nothing too bureaucratic, nothing too burdensome in terms of record-keeping or policies and compliance. What that has created is a culture that is very very delivery-focused and fast-paced. It sounds great when I talk about it like that, but it also has the other side of the coin – sometimes it makes the environment quite stressful. When I interview candidates, anybody from receptionists up to executive appointments, people say ‘I thrive in chaos, I love fast-pace’ and often that means they don’t really know the costs at which that culture comes, which is huge personal accountability. “We are very transparent, sometimes very binary if things don’t work out, and it can seem as quite a harsh culture to people who have come from bigger places where there’s a little bit more buffer for fluff or getting away with not delivering / being absorbed in the politics side. We’re an organisation where the structure is very flat. We are organisationally very transparent and we are all accountable to each other to a high level. Is there another sector or company that seems to churn out really good dating industry talent? Is there a specific area you find yourself hiring from quite often? AR: “The kind of places we take our strongest talent from really depends on which function they work for. So engineering, we are looking for anybody that has a very strong native app-building capability that’s entirely in-house, that is able to process a 10 or 100 million plus user base which actually narrows companies that qualify to compete with us to a few in the world. There are lots of well-known companies that don’t have native apps or they don’t use the technology stack that we do. It tends to be that we look for proven experience ideally in that space, but we’re also happy to broaden it out, especially globally where we look to seek talent in Eastern Europe and Asia, to maybe some companies further down the supply chain. What else can we expect from Badoo this year? Visit the Badoo website here.